Vintage looks from the '50s to '80s are on-trend and fit right into summer activities. Make every day Throwback Thursday in retro-chic accessories. Vintage looks are a stylish choice for summer traditions like road trips, picnics and music festivals, so take a look back as you plan for the long, warm days ahead. 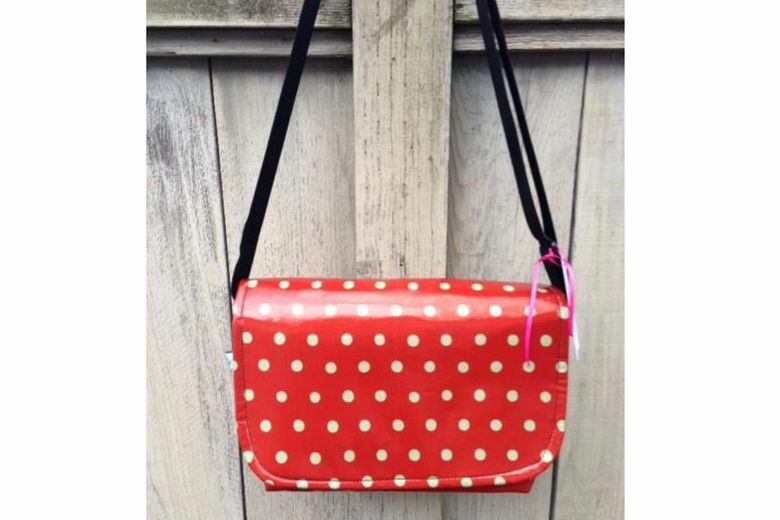 Laarni & Tita Short Messenger Bag in Orange Polka Dot ($95 at laarniandtita.com). Travel light this summer with this Seattle-made mini messenger bag that has just enough room for your wallet, phone and other essentials, plus a magnetic closure and a zipper pocket for easy access. The shiny, retro polka-dot design makes a fashion statement wherever the summer takes you. Urban Outfitters Allover Cherry Bandana ($8 at urbanoutfitters.com). 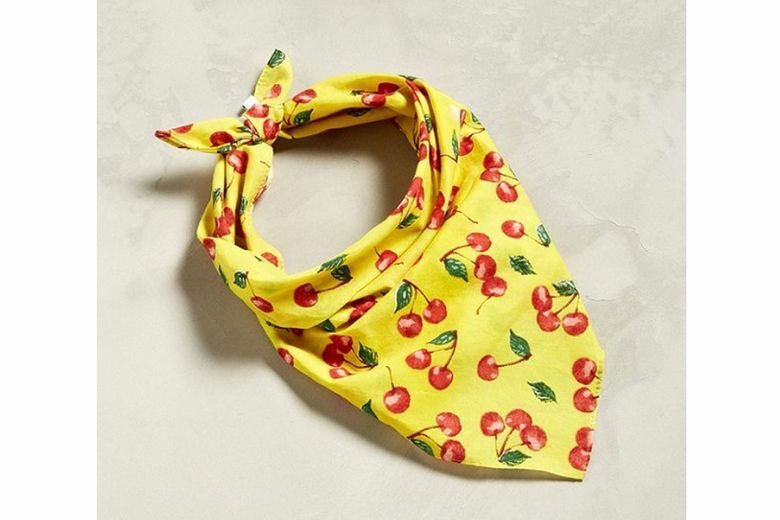 Show your sweet and cheeky side with this classic bandana with a cherry print on a sunny yellow background. Wear it as a head scarf, neckerchief or ponytail adornment for a dose of pin-up-inspired nostalgia. Ollie Quinn Hannah Sunglasses ($125 at Ollie Quinn, Capitol Hill, and oqspecs.com). 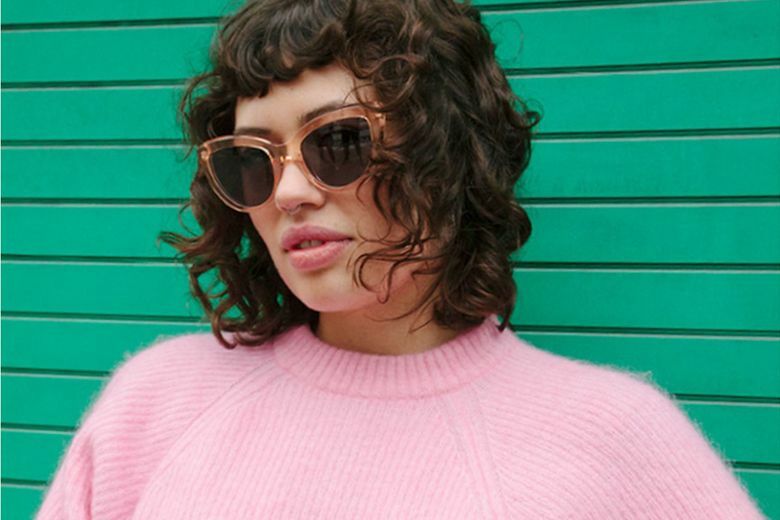 Achieve timeless elegance in these updated 1950s cat-eye frames with polarized, scratch-resistant coating from Ollie Quinn’s new Accent Collection. Available in tortoiseshell, translucent crystal rose and basic black (but lighten up, it’s summer!). 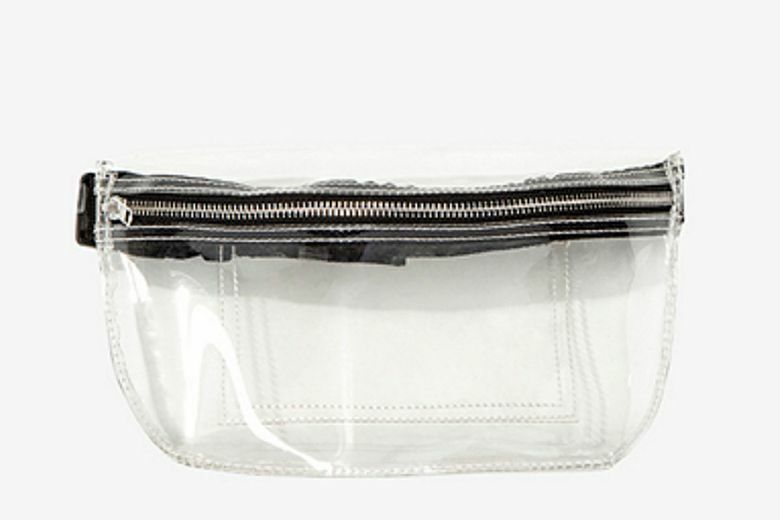 American Apparel Vinyl Fanny Pack ($22 at americanapparel.com). This clear PVC fanny pack channels the ’80s and makes for easy security clearance at sporting events. It’s also water resistant for the beach, and leaves your hands free for waving in the air at summer music festivals. 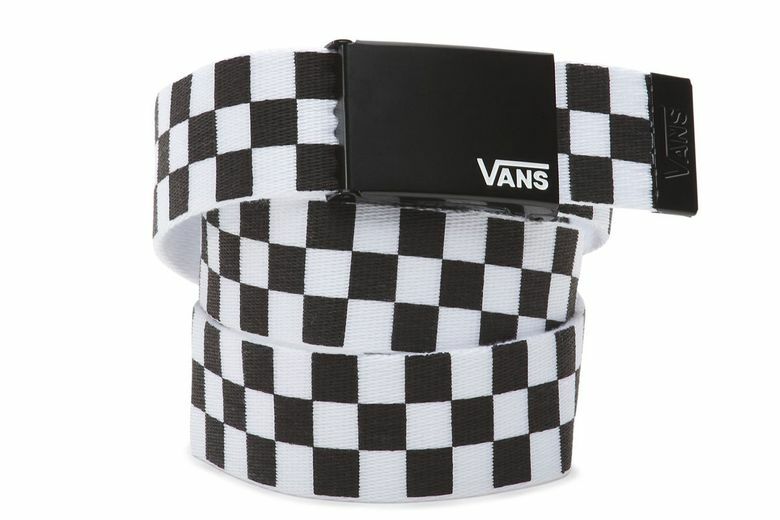 Vans Deppster Web Belt ($15 at zumiez.com). What’s black and white and worn all over? This classic checkered belt in polyester fabric styled like old-school Vans. Use it to add edge to those summer whites.